We all make changes as we get older. We see it in our parents as they go from invincible to vulnerable. As they age they often need enhanced care and medical attention to maintain their lifestyles, but they often have limited income after retirement. Planning, not just for retirement but for declining health of either yourself or your spouse, is prudent, and in the end could be crucial. Elder law refers to all legal matters that are associated with protecting senior citizens and the aging population, so it is a very broad field encompassing all issues that the elderly, the disabled, and their loved ones face: estate planning, financial planning, guardianship, elder abuse, nursing home neglect, fraud, elder care facilities and housing, real estate, probate, Medicaid, Medicare, VA Aid and Assistance, Social Security, and retirement planning. Elder law as we know it developed from the Older Americans Act and other laws providing rights and benefits to citizens reaching or beyond retirement age. For better and for worse, the federal government has become the dominant player in senior healthcare, and no elder law practice can ignore them. Unfortunately, public ignorance of how Medicare, Medicaid, Social Security, and Veterans Administration benefits work cause much trouble, anguish, and even poverty. For instance, if you believe Medicare will cover long-term hospital or nursing-home care, think again. Likewise, if you believe you can give away your wealth this year and obtain long-term Medicaid benefits next year, think again. On the other hand, if you hope that the Veterans Administration might pay for caregivers to assist a war veteran at home with dressing, bathing, and eating, there is such a program called VA Aid and Attendance. The rules and requirements for federal and federally-supported programs are complex and change often. Broad statements of patients’ rights often meet a cold reality of poor quality of care in hospitals, nursing homes, and hospices. Planning is essential, and waiting to plan until there is a health crisis can lead to financial suicide. “Asset protection” is a commonly used term for the transfer of assets through gifts and trusts so that they may be enjoyed by your family rather than reduced to nothing by a long-term illness or incapacity. Asset protection is one of the skills of an elder law attorney. Advance healthcare directives, sometimes called “living wills” or medical directives, are documents which inform family and medical staff of a person’s wishes should he or she become disabled and unable to communicate. Their most important section is commonly the appointment of an agent to make medical decisions for the incapacitated person. This appointment is often in the form of a power of attorney and sometimes called a “healthcare proxy.” Whatever the name, it is a good practice to name someone you trust to be your healthcare proxy and to make your beliefs about life and death known to your healthcare proxy, the rest of your family, and medical staff. This law firm does not generally recommend that you sign a form document that has check boxes because they attempt simple solutions to the complex problems of disability and death, and they are written less for the patient and more for the hospital’s and medical staff’s concerns about liability. We recommend that you see an attorney who is committed to listening to your wishes, to expressing your beliefs and instructions so that your family is confident of what you want, and to appointing the best healthcare agent to make sure that medical staff follow your wishes. If someone can no longer handle his money, the probate court can appoint a conservator to prevent waste and to make sure that the resources available go to the benefit of the disabled person rather than to the vultures who circle the weak. If someone cannot take care of himself and his personal needs, that is, he is non compos mentis, the probate court can appoint a guardian to do so. In many cases, a disabled person’s relative will establish a trust for his benefit and appoint a trustee to manage the funds. In other cases, the executor or administrator of an estate has to seek to create a conservatorship, guardianship, or trust to take care of someone whose needs are beyond whatever was provided in the will. Elder law often involves conservatorships, guardianships, trusts, and special-needs trusts to benefit the disabled and incapacitated. The elder law attorney is there with you to help create trusts and to ask the probate court when necessary to make appointments of conservators and guardians to prevent poverty, neglect, and exploitation of the weak. Elder law by its nature overlaps with the field of law called “estate planning.” Practitioners of both fields write wills, powers of attorney, advance healthcare directives, and trusts, and they are concerned with avoiding federal penalties for violations of Medicaid rules and advising on the related problems of federal and state taxes. They both petition the probate courts for conservatorships and guardianships. They assist with the administration of estates. Ultimately, elder law attorneys and estate planning attorneys are both judged by how well they take care of their clients and their clients’ families through planning and transfers of wealth in and out of the jurisdictions of the probate courts. 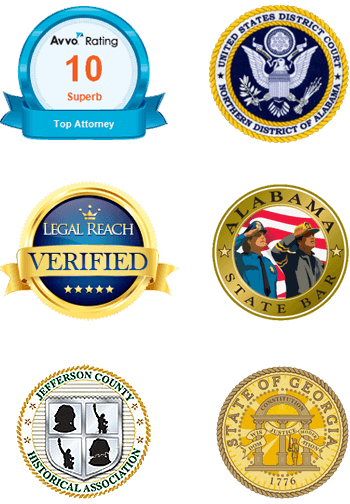 They are also judged by how well they advocate for their clients before the probate courts, state courts, and federal agencies. “Probate” refers to the probate code and courts and their processes for administering estates of the deceased and taking care of things set loose such as property after death and lives damaged or endangered by illness or incapacity. Elder law attorneys therefore are often probate attorneys as well. A well-written will, if not administered efficiently by the executor as advised by an attorney (whatever the specialty), does not meet its author’s intent. The “devil is in the details,” and the probate process is so time-consuming and costly that many families seek to avoid entirely through trusts and non-probate transfers of wealth. The elderly typically deal with more specialized and sensitive needs. When it comes to aging, planning ahead is crucial. An elder law attorney can provide you and your family with the information and tools needed to help make the best decisions for you and your loved ones. If you or a loved one are advancing in age and are in in need of a compassionate and qualified elder law attorney who can help plan for the future, call James B. Griffin, LLC at 205-502-2199 today. Why Choose James B. Griffin?